The PEAK platform enables a whole new dimension of programmability in your spectroscopic instruments that has not been possible with any other spectrometer technology on the market. 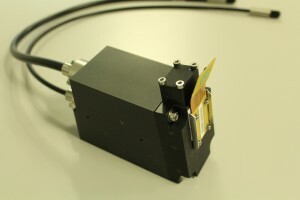 PEAK utilizes IBSEN’s high efficiency fused silica transmission gratings combined with the Texas Instruments’s DLP® technology in order to provide the spectral programmability. With PEAK you can control the relative power and exposure time independently for each wavelength in your spectrum. Ibsen can customize a PEAK solution to your specifications as described in our our OEM project model. If you want to evaluate the PEAK technology, we recommend you buy an evaluation kit from Texas Instrument here. Please contact us by e-mail or using the dialogue options at the top right of this page.